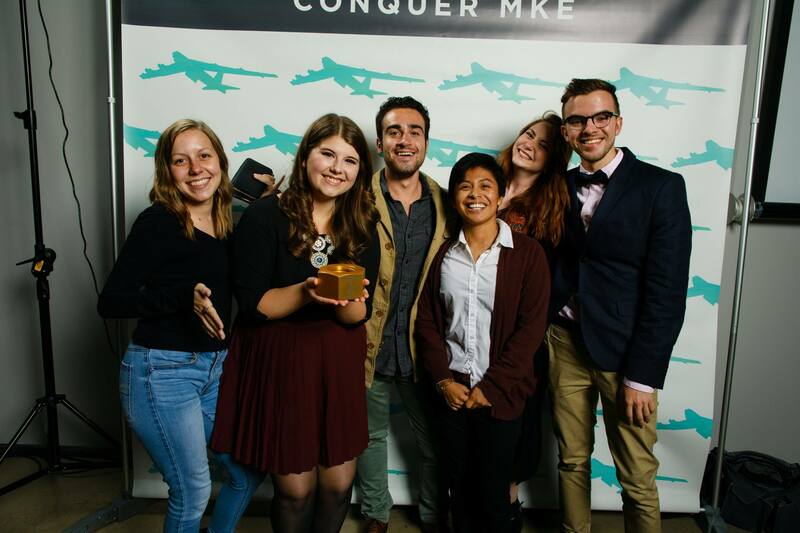 UW-Milwaukee student, Emily Adkins, took home Best of Show in the student category at the 2016 United Adworkers 99 Show on Thursday, Oct. 13 at the Harley-Davidson Museum. Adkins had some steep competition, going up against student work from UWM, Marquette University and Milwaukee Institute of Art and Design (MIAD). Adkins’ winning advertising campaign for Penzeys Spices was created while she was at Milwaukee Portfolio School. Along with the award, Adkins received a $500 scholarship. She is a double major in Journalism, Advertising, and Media Studies, and in Peck School of the Arts.